The Gilbert Scott, a bar and brasserie named after the eponymous Victorian architect, is housed in the recently refurbished red brick Gothic St Pancras building, now the Renaissance hotel. 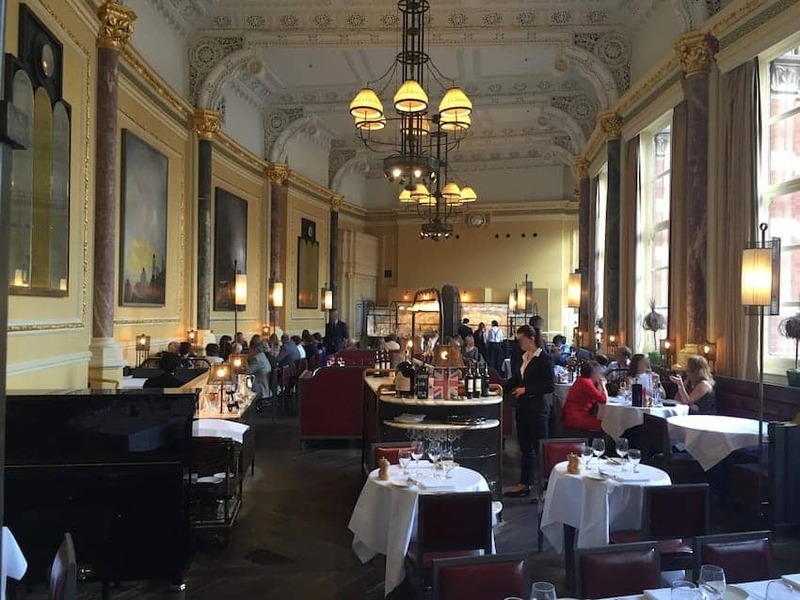 The limestone pillars, huge windows, high ornate ceilings with bell chandeliers and leather furnishings provide a sophisticated and elegant setting for dining on inventive British heritage cuisine. From the hotel there is direct access to the station concourse which adds to the romanticism of the setting.